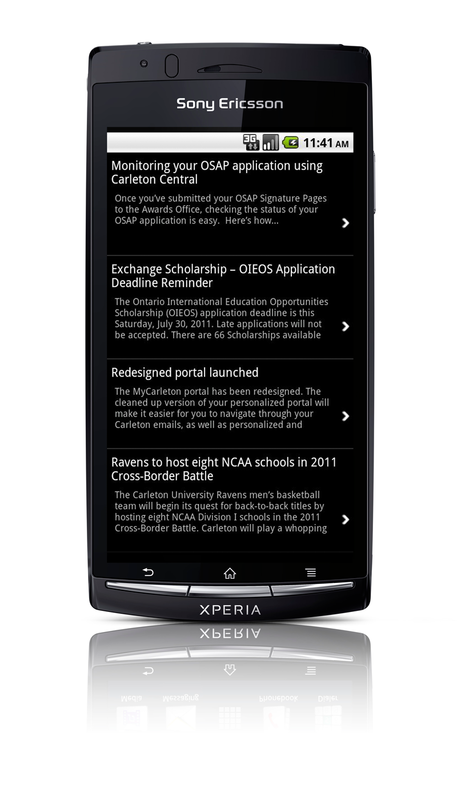 Another valuable feature on Mobilversity is the campus News Feeds. As post-secondary students are natural knowledge seekers, it is only fitting that they receive timely updates about their campus on a regular basis. Campus newspapers, posters, bulletin boards, electronic monitors, and even Twitter, are excellent ways of keeping your students informed and current. Having a news feed within a smartphone application is yet another branded tool of communicating with your students, especially as more and more students are using smartphones. Furthermore, you can segment your news feeds into categories and allow students to select which feed or information matters most to them. Separating Students’ Union dates and events from important academic dates would be extremely beneficial for students. Many of our schools have decided to feature an Athletics tab that allows student to receive news feeds and follow their peer athletes. When considering a mobile application for your campus, don’t forget these very important features!